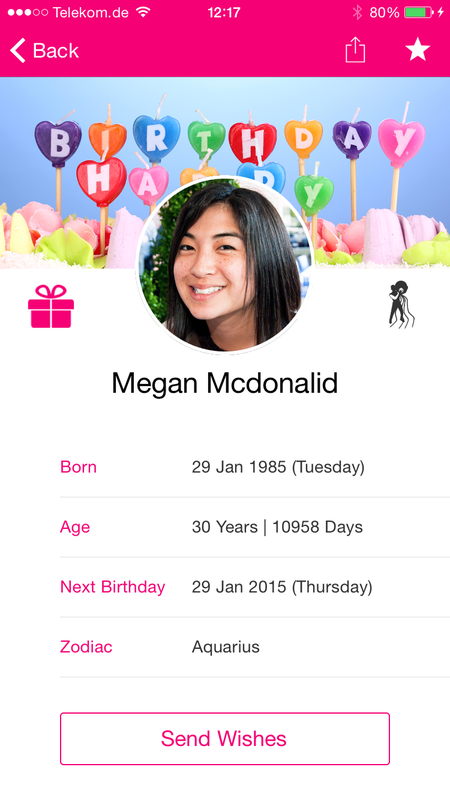 With the new iOS8 #BDay App, you'll never forget a birthday again. 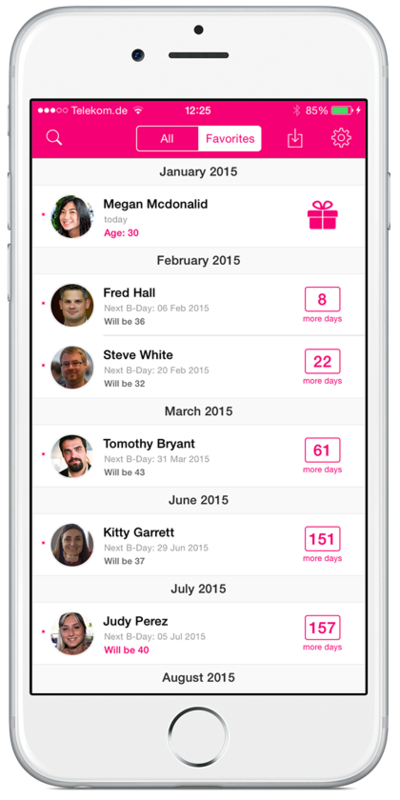 #Bday has detailed state-of-the-art features and is the easiest and most effective way to remember everyone’s special day – including friends, co-workers, family, and more! 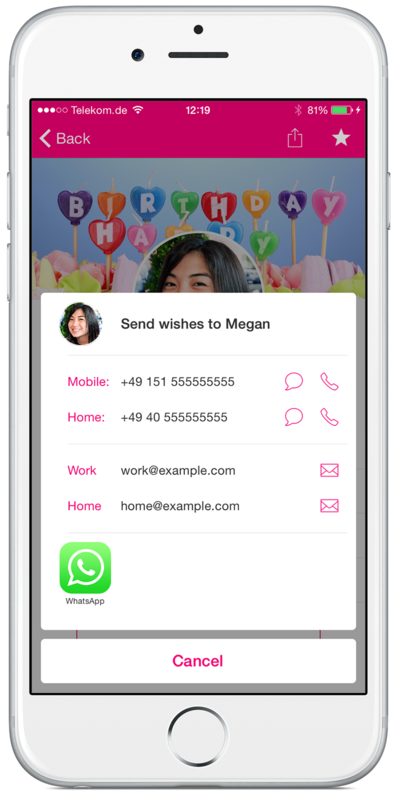 Send birthday wishes easily via phone, email, text and WhatsApp directly from the #BDay App. 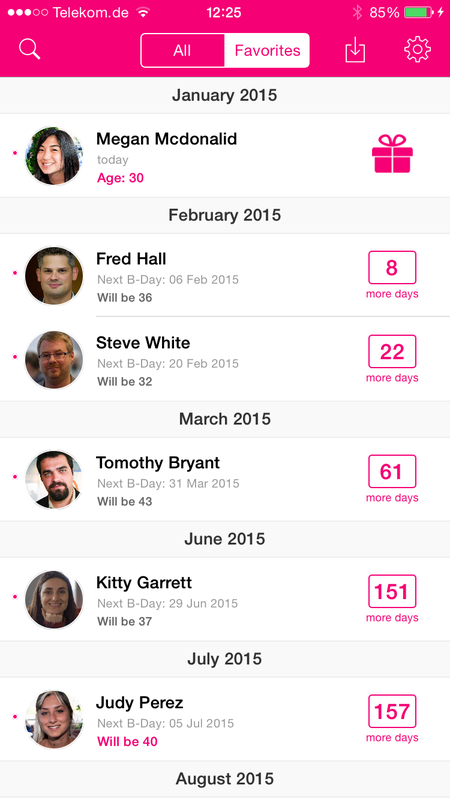 The #Bday App also provides useful information including average age, age in days, and other fun facts. 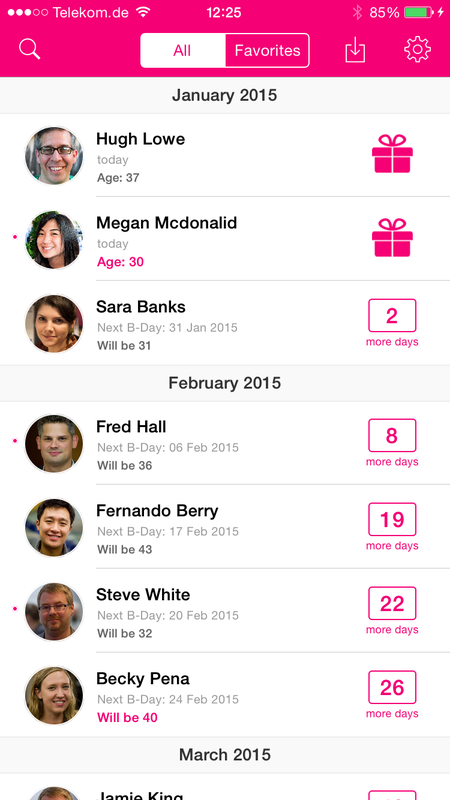 Birthdays will be automatically imported or updated from your phone contacts while starting the app. 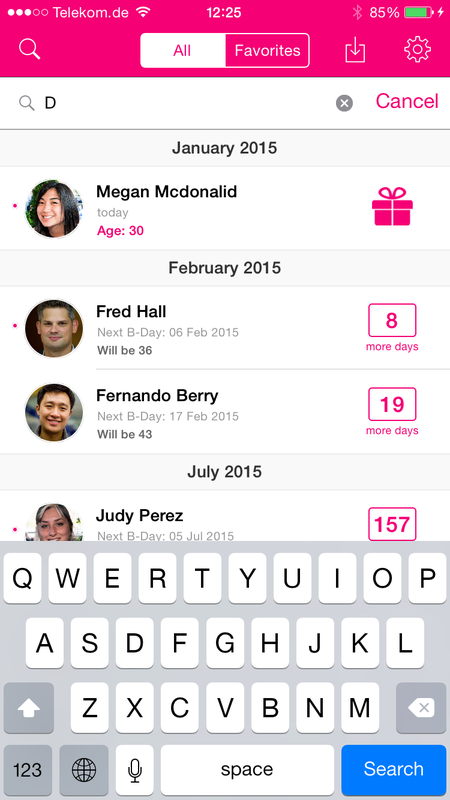 Or, you can do a manual birthday list update. 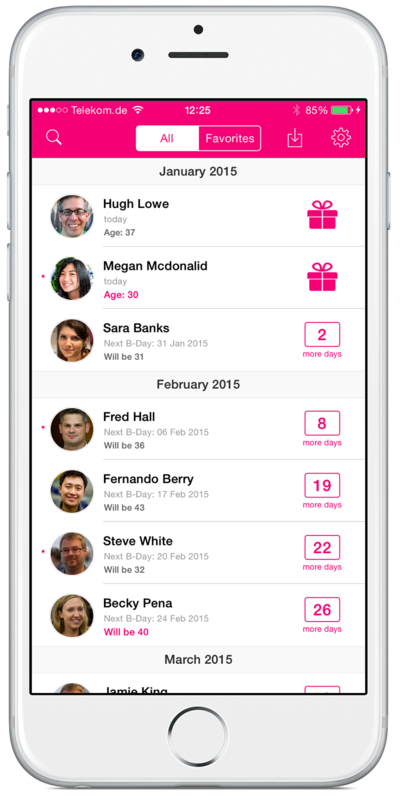 For users with lots of contacts or birthdays in their list, this feature will be essential. 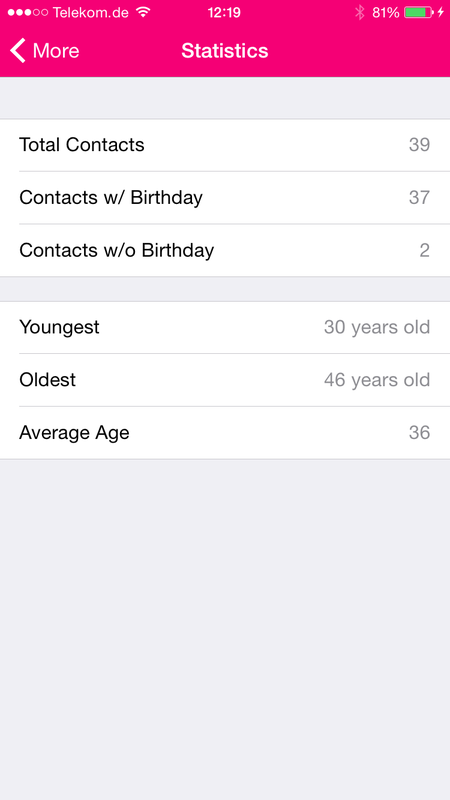 Separate the most important birthdays of your family and friends by tapping on "Add to Favorites" on the contact detail page. This way, you won’t miss the birthdays that are most important to you. 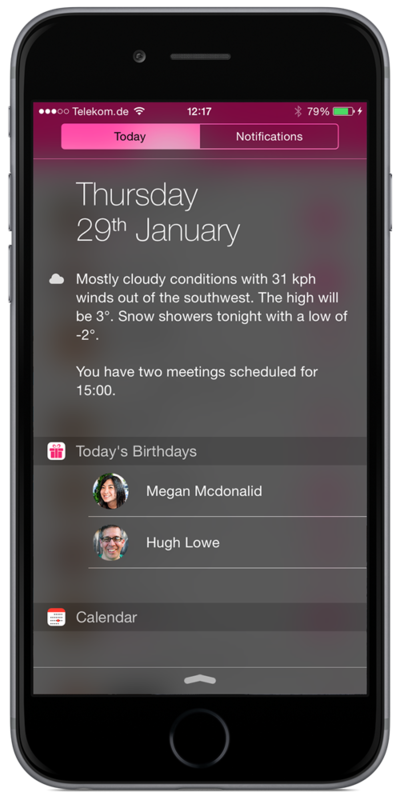 Simply pull down your notifications from the lock screen of your phone to see the today's birthdays. 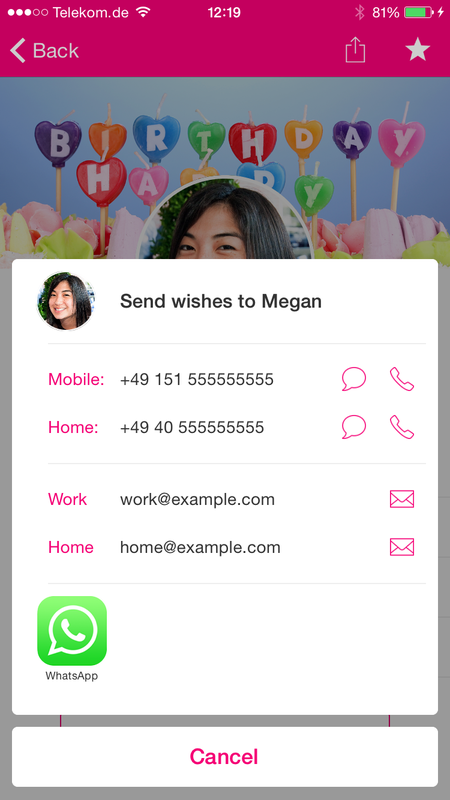 Easy to access when you’re busy or working on other tasks. 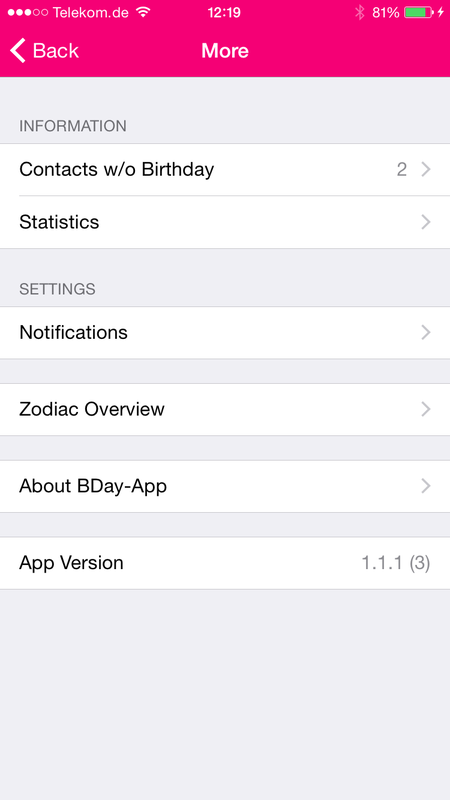 Get notified at a predetermined time of day OR the day before a birthday. Only be notified of the birthdays you choose. Never forget a birthday again!